For Liz Jones, the life and death of Princess Diana was all-consuming, both in her work as a newspaper journalist and in the way the Princess’s experiences mirrored her own. Liz reflects on how Diana changed things for us all. August 31 1997, 4am local time, at the Pitié-Salpêtrière Hospital, Paris. The most famous woman in the world had just died. It took 15 minutes for the news to reach foreign secretary Robin Cook in the Philippines. It took a little longer for the news to reach me. It was a Sunday morning and I was up late. I turned on the TV. These were the days before the internet, before fake news, but still I couldn’t believe it. Without needing to be asked, I got dressed, started up my ancient Beetle and drove to the newspaper offices in Wapping. When I got there, they were packed with men I had thought made of steel looking shocked and ashen. I sat down with my section editor and we started to work on a special supplement celebrating Diana’s sense of style. It seemed pretty potty to be doing this, when all we wanted to know was how, why, who? There was a sense of doom hanging over the offices of the style and magazine sections. The woman we could always rely upon to sell copies, fill column inches and covers was dead. We knew we would never be able to replace her – who on earth could ever replace her? On the day of her funeral –September 6 – I watched the entire proceedings on TV. It was the word ‘Mummy’ handwritten on a card from Harry to accompany a wreath of white roses that touched me, and the sound of someone in the crowd wailing when the young princes first appeared, heads bowed. Only William occasionally allowed his eyes to lift from beneath his fringe, reminding us all of ‘Shy Di’. 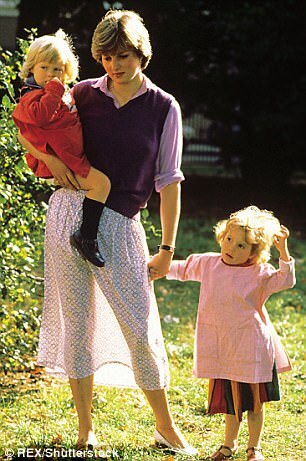 As Diana, wearing a dress by her favourite designer Catherine Walker, lying in a lead-lined coffin – it weighed a quarter of a ton – was slowly driven to her family home, Althorp, I got in my car again and this time headed up a deserted M11. I was going to see my dad. He was dying from cancer. Not a tragedy, either national or personal: he was in his 80s, had led an action-packed life serving in the Second World War and East Africa, been married for more than half a century to a wife who loved him, and seen grandchildren born and grow up. But still, it was the end of an era. 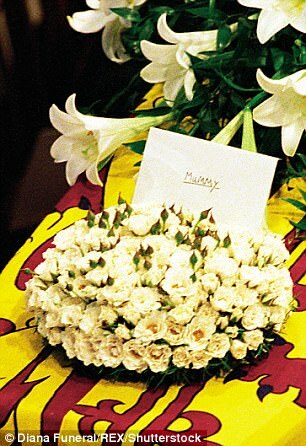 I think I sobbed so profusely during Diana’s funeral because I knew another funeral was just around the corner. Hers was a dress rehearsal; hers made open displays of grief acceptable. I’d been fascinated by the Princess from the moment she was first photographed in the garden of the Young England Kindergarten where she worked as a teaching assistant, wearing that now famous sheer Laura Ashley skirt. I was just starting out in my career, working on the young women’s magazine Company. In the run-up to Diana’s wedding, on July 29 1981, we would come up with all sorts of crazy feature ideas. We found brides who were getting married on the same day; brides called Diana; brides who also happened to be 20. We dissected her clothes even then, when she was a Sloane Ranger in a uniform of one smart dress, a pie-crust collared shirt and a pair of flat shoes, the rest borrowed from flatmates. On the eve of her wedding I went with my flatmates to the big firework display in Hyde Park. For me, the night was a disaster. My face was covered in soot and it took hours to get out of the park on foot. I was too exhausted to join the crowds the next morning and instead watched the wedding on television. It all seemed so very far away, even though my flat was barely a mile from the steps of St Paul’s. As her fairy-tale marriage started to fall apart, Diana became more real to me – even if the hair on her arms was airbrushed out in the portrait shot by Patrick Demarchelier for Vogue in 1990 (in real life the princess was as hirsute as a bear!). I was still working on the same Sunday newspaper when we published the first extract from the explosive Andrew Morton biography, laying bare her bulimia, her affair with James Hewitt and the misery of her marriage. The secrecy surrounding the editing process in the weeks before we hit the newsstands was off the scale. We couldn’t believe what we were reading. I was someone who had never been loved by a man, who had suffered from an eating disorder for as long as I could remember and been ravaged by depression and self-doubt; now here was the most famous woman in the world – a woman who appeared to have everything to live for – and it turned out that she, too, was unloved, flawed, an outsider. The book, Diana: Her True Story, and later her appearance on Panorama, when she discussed Charles’s unfaithfulness (I watched it in the newsroom; all the girls in the office were cooing, totally in love, while all the men were rubbing their hands with glee at such an explosive story) was really the start of all the ‘me, me, me’ journalism that I was soon to make my own. Misery, overexposure and oversharing deployed as Exocet weapon. But despite her ‘normality’, her dresses are as important as the last remaining fragment of a gown worn by Elizabeth I, which is preserved in Hampton Court Palace. That’s something, I suppose. Most importantly, she was approachable: she was the first to eschew the royal protocol of donning gloves in public. She refused to wear hats when visiting hospital wards as ‘you can’t cuddle a child in a hat’. 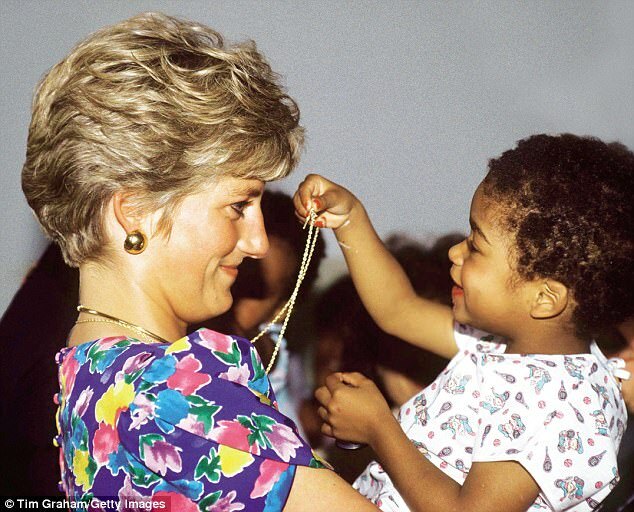 But unlike the current crop of very rich women who promote themselves on social media, Diana used her fame to destigmatise Aids victims and to campaign to end the manufacture of land mines. She led the way, too – for good or ill – in the world of alternative therapies: after her marriage ended she replaced courtiers and servants with astrologers, acupuncturists, healers, colonic irrigationists, designers and stylists. She reportedly sometimes had as many as four therapy treatments a day at £200 a pop. Of course, just because Diana died in that long, hot summer of 1997, it wasn’t the end. Her death didn’t mean we stopped putting her on magazine covers and feeding those hungry column inches. Every time I met a fashion designer over the next 20 years, we’d inevitably start talking about Diana. Tellingly, no one ever had a bad word to say about her. 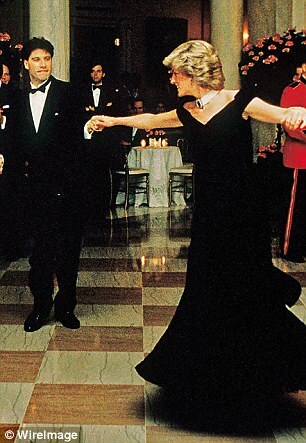 Elizabeth Emanuel, who designed Diana’s wedding dress, told me how naive they all were when they first started to dress her, even putting her in black for an official function, which is a faux pas for a royal, unless they are in mourning. Diana’s favourite designer, though, was Catherine Walker. She was discreet, she was meticulous, she understood what made an outfit work. Will it crease? Will the skirt be lifted by a breeze? Will it be too revealing? 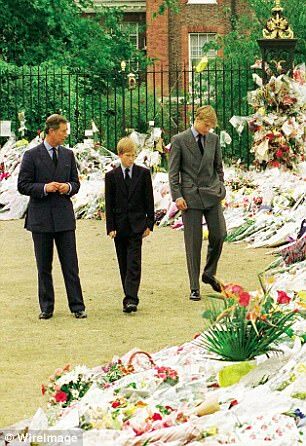 A few days after Diana died, after we had put our supplement about her fashion hits, misses and nones out of ten to bed, I got the tube to Kensington. I stopped at Marks & Spencer and bought some flowers: long-stemmed yellow roses, the very same flowers I would soon buy for my dad. I walked to Kensington Palace, through the lovely park from Notting Hill Gate. It was embarrassing at first, so obvious I was part of the growing fever. I placed the flowers on the ground shyly, carefully. The air was thick with sobbing and the scent of rotting rose petals. I retraced my steps for the first time a few weeks ago, for a private view of the exhibition to mark the 20 years since her death, Diana: Her Fashion Story. As I walked past the Bill Pashley brown tweed wool suit, worn on her honeymoon in Balmoral in 1981, past the strapless white silk ‘Elvis’ dress and jacket embellished with sequins and pearls by Catherine Walker, worn on an official visit to Hong Kong, past the Victor Edelstein midnight-blue gown she wore to take to the floor with John Travolta, past the short shift dress of cream printed silk by Catherine Walker, worn in New York in 1997 for the sale of her wardrobe for charity by Christie’s (Walker always gave Diana a waist and minimised those swimmer’s shoulders) I felt I was visiting an old friend. Diana touched these clothes; she lived and breathed in them. It was almost ghostly. Diana spent her adult life being judged for her looks. She got better with age, which was a kick in the teeth for all the men in the newsroom who were obsessed with youth, the ones who could only think of her as ‘The Loon’. How I would have enjoyed chronicling Diana in her 40s, her 50s. I think she would have eschewed doing anything drastic, such as changing her face. She would have looked wonderful with grey hair, a grandchild in her arms, at a funfair, head back, laughing. Previous articleGo for Gold – get your hands on a FREE Bellápierre Mineral Lipstick!